The economic revitalization of South Side Bethlehem has attracted a lot of small businesses to the area in recent months. Zest Bar+Grille, Sagra Beans, El Jefe’s Taqueria and Rakkii Ramen are just some of the businesses that have opened over the last year. John Schall is the owner of El Jefe’s, located at 506 E. Third St., and after seeing the success of his first store in Cambridge, Massachusetts, he decided to open another one in South Bethlehem. One of the major reasons Bethlehem has seen so many new businesses is because it falls in a City Revitalization and Improvement Zone, or CRIZ zone. This designation gives new businesses certain tax breaks and benefits. For Schall, receiving the tax benefits of CRIZ was one of the most significant incentives for him to open a restaurant in Bethlehem. Alicia Karner is the director of the Department of Community and Economic Development for Bethlehem. Karner said she believes that there are a number of reasons that have resulted in the revitalization of the city. First and most importantly is the availability of space. “Zest is the only rooftop bar in the city, and the new construction provided them with the opportunity to open,” Karner said, referring to the newly constructed New Street parking garage and Gateway Building on Greenway Park. Karner cited the strong economy as another reason for renewed business interest in the city. She said for a long time, people didn’t make big purchases, but that consumers are interested in buying again. Bethlehem offers a different number of tax benefits for new businesses depending on its type, Karner said. South Bethlehem also has a dedicated small businesses development center. 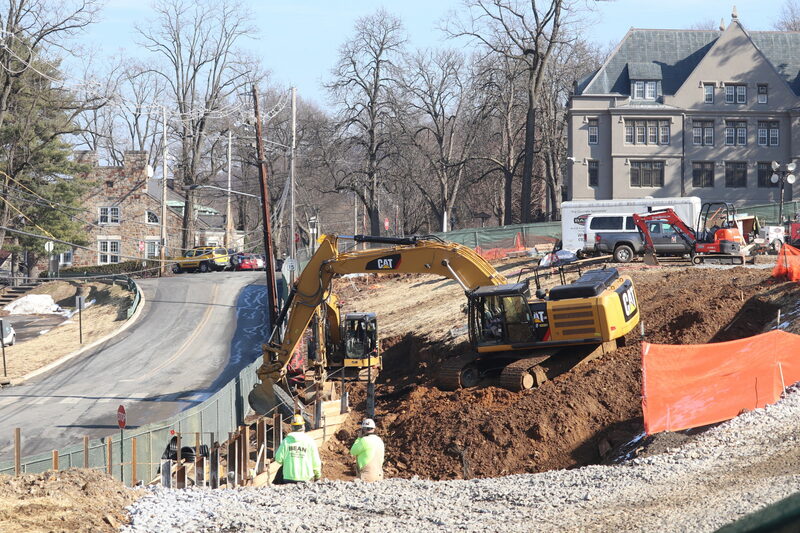 Since 2014, $40 million of construction projects have taken place in South Bethlehem. Karner said the continuation of expanding businesses in the city requires the right tools and the presence of a proper structure. Social Still is a restaurant and distillery located in South Bethlehem that has been open for over four years. Andrea Blumstein is its general manager, and she has noticed more traffic in South Bethlehem recently. Blumstein said she believes city officials have created an environment to help small businesses succeed, and establishments like the SouthSide Arts District are proof of their efforts. “The SouthSide Arts District does a great job of trying to keep all the businesses together, help promoting any kind of event that businesses would have to do on their own, and they also do a lot of community-based events,” Blumstein said. She described the increased competition as “friendly competition,” and believes new places are necessary for the strength of the community. Schall sees South Bethlehem expanding in the future. Tech incubators in Bethlehem are also growing in number. “The area around Steel Stacks has become a real entertainment area,” Schall said.